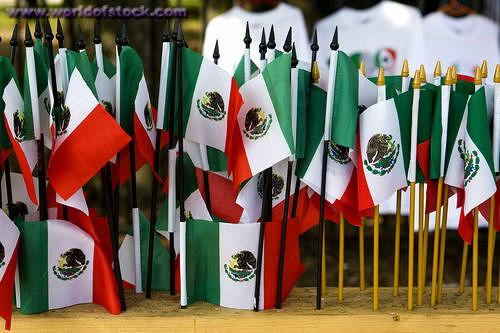 Mexican Independence Day « Vancouver Spotlight – Your Station! Your Stories! “Vive Mexico, Vive Independence!” cries the crowd, in a reenactment of the 1810 revolution. The shouts of “Vive!” from so many voices proves to be a powerful cry, and stories of gatherings of millions of Mexicans shouting “Vive!”, as opposed to hundreds in this Vancouver gathering, gives a person shivers with the impact it has. The revelry has been a week long event here in Vancouver, which took place from Sept.11th to 17th, including the Mexican Cinema-Film Festival as part of the Latin American Film Festival, traditional Mariachi bands, a gala dinner, exhibitions of stunning Mexican art and photography, and of course, the 198th anniversary of Mexico’s independence, just outside the Vancouver Public Library. This entry was written by vanspotlight and posted on September 26, 2008 at 10:36 pm and filed under Family Activities, Outdoor Activities with tags CCIME, Latin America, mexican independence day, Mexico, public library, revolution, Vive Independence. Bookmark the permalink. Follow any comments here with the RSS feed for this post. Post a comment or leave a trackback: Trackback URL.